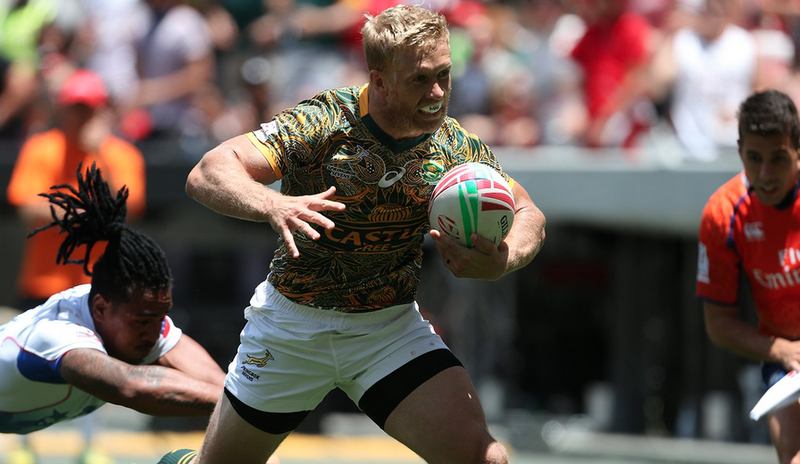 Kyle Brown downplayed his milestone of becoming the most-capped Blitzboks player during the Sydney Sevens last weekend. 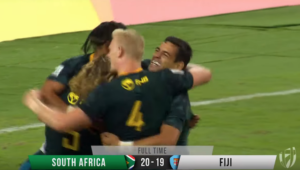 Brown, who made his Blitzboks debut in the 2008-09 season, eclipsed former teammate Frankie Horne’s record of playing in 68 World Rugby Sevens Series tournaments in the quarter-final loss against England on Sunday. Despite his landmark appearance being made in a loss, the 31-year-old said the team’s success means more to him than any personal achievement. 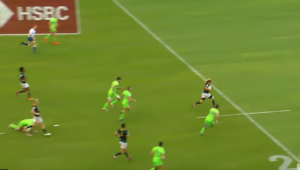 ‘It never was about me becoming the most-capped Blitzboks player,’ Brown said. ‘Remember, Frankie played his 68 tournaments consecutively over eight seasons, and that to me will always be a remarkable achievement. It took me ten years to get to 69. 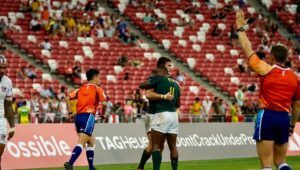 ‘Also, I have seen Springboks, who played in their 50th or 100thTests, on the wrong side of the result, so I was reluctant to make too much of this. The team winning tournaments and playing at their best is far more important than personal milestones. 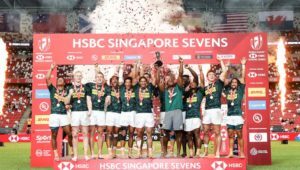 Brown thanked Horne and Springbok Sevens coach, Neil Powell, among others. ‘Frankie set the example to many of us with his love for sevens rugby and the Blitzboks, and he was an inspiration to me. Luckily I could play in most of his tournaments with him. Coach Neil gave me the opportunity in recent months after some injuries, and I can only repay that by contributing as much as I can inside the system and team.